Josh Eggleton's stunning Pimm's jelly recipe certainly packs a punch, thanks to a cheeky shot of gin. Served with a light cucumber sorbet and poached strawberries, this is the definitive summertime dessert. 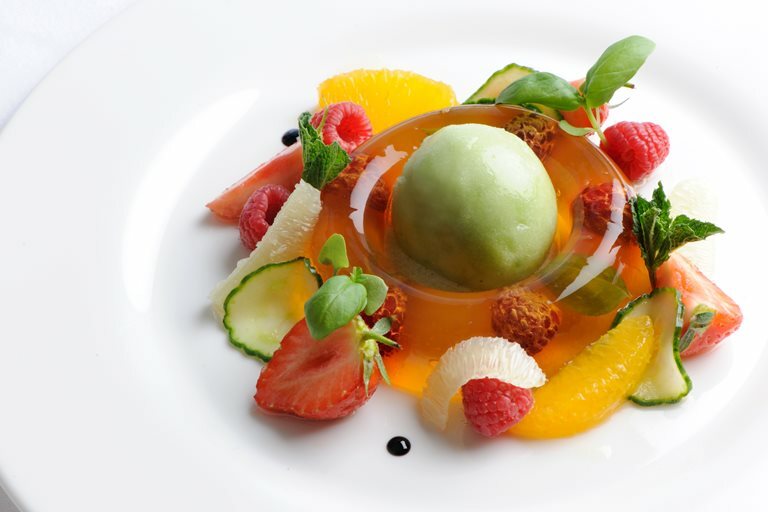 Use regular jelly moulds if you do not have doughnut moulds and serve the cucumber sorbet alongside the jelly instead.